MANUACT studies gestures as part of human communication, investigating both their cultural relevance and practical applications. It focuses on object-related gestures (such as the gesture for “making a telephone call”), asking how such gestures come about, how they are related to current and past technologies, and how they are used for communication. 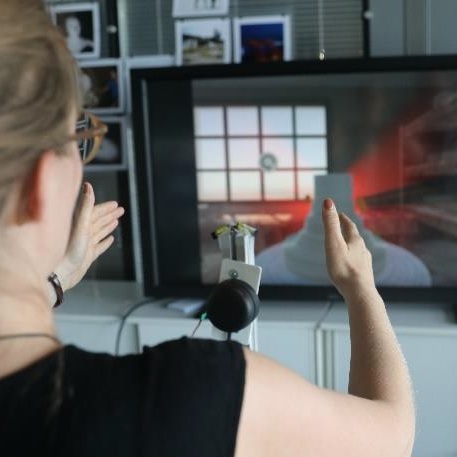 A further focus lies on gesture control as an intuitive and effective means of human-machine interaction. The guiding assumption is that artificial gestures will be easy to learn if they are connected with our natural gesture repertoire, and avoid conflict with it. Machines cannot decide weather they or a human are addressed, so we should avoid ambiguity. At the same time, it is important to conventionalize gestures. For example, a “Stop!” gesture should be easy to remember and intuitive to use when a self-driving car comes towards you. These and related research questions are pursued in a multidisciplinary setting that combines three different perspectives: a linguistic and semiotic approach, an ergonomic approach, and a perspective that unites museum studies with artistic research. The anthropological dimension of gestures, their cultural history, their role in face-to-face communication, and their rapidly increasing technological applications are investigated on the basis of extensive empirical studies. For this purpose, a video corpus of gestures in human dialogues, and object handling in different settings, has been collected. A further approach consists in the recontextualisation of industrial objects in a museum setting, and artistic reflections of everyday practices at work and at home. 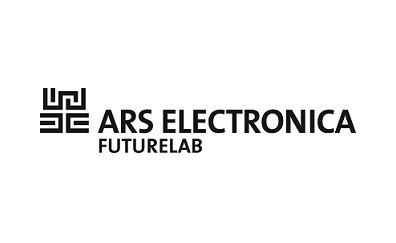 In MANUACT, the professor of German Linguistics, Semiotics and Multimodal Communication and the professor of Ergonomics and Innovation Research at the Chemnitz University of Technology cooperate with the Saxon Museum of Industry Chemnitz and the Ars Electronica Futurelab (Linz). 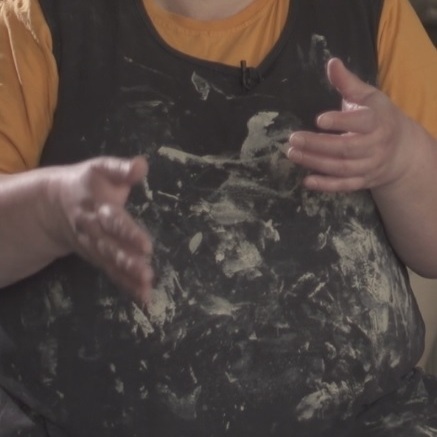 We thank the artist Anette Rose for her support during the application phase of the MANUACT research project from 2012 to 2015 (www.anetterose.de). 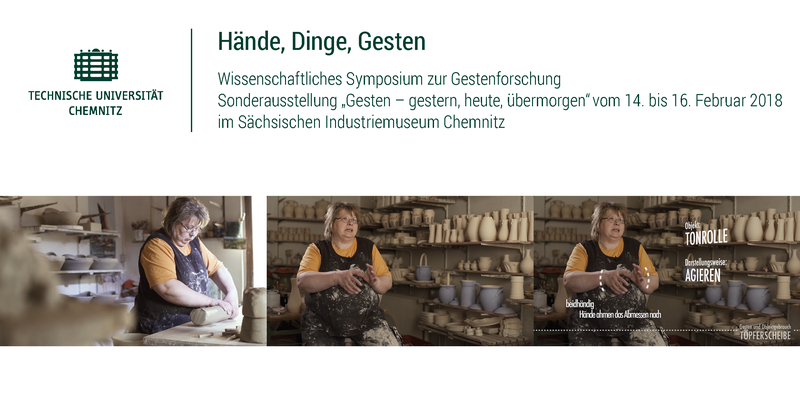 Selected results and outcomes of the project will be presented to the public in an exhibition at the Saxon Museum of Industry in Chemnitz. A number of events will be organized in connection with the MANUACT project. Lecture series "Talking with your hands"
When we speak, we speak not only with the mouth, but also with the hands. Co-speech gestures, i.e. communicative movements of hands and arms, are an integral part of speech and language. Gestures can specify, supplement, or completely replace verbal expressions. They allow speakers to map spatial relations, to visualize imaginary objects, or to imitate actions. The lecture series "Talking with the Hands", organized by the Institute of German Studies and Communication, presented the topic of gesture from an interdisciplinary perspective. It brought together internationally renowned linguists, primatologists, anthropologists, and artificial intelligence researchers, who outlined the role and relevance of gestures for cognition and communication. The lectures took place in the Staatliches Museum für Archäologie Chemnitz (smac). This series of events took place in the winter semester 2015/2016 at the University of Technology Chemnitz. It was organized by the Professor for Germanic Linguistics, Semiotics and Multimodal Communication. In the near future, we will provide video recordings of the lecture lectures on this website. 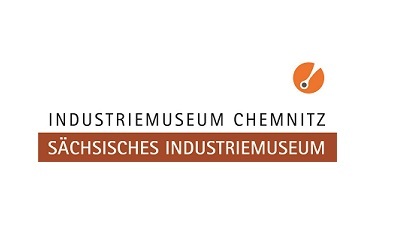 Kick-off event: "MANUACT – Workshop impressions"
The public kick-off event took place on 16 October 2015 in the Saxon Museum of Industry Chemnitz. Here you can download the press release [German] for the kick-off event. Opening of the exhibition "Gestures – in the past, present and future"
The special exhibition Gestures – in the past, present, and future, running from 17 November 2017 to 4 March 2018, was opened on 16 November 2017 at the Saxon Museum of Industry Chemnitz. You can find some impressions of the opening event here. The scientific symposium "Hände, Dinge, Gesten" brings internationally renowned scientists to Chemnitz. It will take place from 14 Febrary 2018 to 16 February 2018 at the Saxon Museum of Industry, Chemnitz. You can find the conference programme and information on registration here. Bernhagen, Max und Angelika C. Bullinger (in press). Die Auswirkungen von Lernkurven auf die Effizienz gestenbasierter Eingabegeräte – eine Longitudinalstudie. Bernhagen, Max, André Dettmann und Angelika C. Bullinger (2015). Einflussfaktoren der Beanspruchung durch gestenbasierte Eingabegeräte. In: Martin Pielot et al. (ed), Mensch und Computer 2015 – Tagungsband, pp. 291–294. Berlin: De Gruyter. Dettmann, André, Max Bernhagen und Angelika C. Bullinger (in press). Eignung gestenbasierter Eingabegeräte an Bildschirmarbeitsplätzen – eine vergleichende Untersuchung. Fricke, Ellen und Irene Mittelberg (in press). Gesten. In: Frank Liedtke (eds.). Handbuch Pragmatik. Stuttgart: Metzler. Fricke, Ellen (in press). Mental Spaces und deiktische Raumerzeugung in der Interaktion. In: Robert Mroczynski und Alexander Ziem (eds. ), Mental Spaces in der interaktionalen Semantik. Special Issue, Zeitschrift für Gesprächsforschung. Fricke, Ellen (in press). Deixis, gesture, and space from a semiotic point of view. In: Federica da Milano (eds. ), Space and Language – On Deixis. Amsterdam, Philadelphia: John Benjamins. Fricke, Ellen (2015). Grammatik und Multimodalität. In: Christa Dürscheid und Jan Georg Schneider (eds. ), Handbuch Satz, Äußerung, Schema. Berlin und Boston: De Gruyter. Seeling, Thomas, Ellen Fricke, Daniel Schöller und Angelika C. Bullinger (2016): Natürliche User Interfaces durch den Einbezug von Nutzern gestalten: Implikationen für ein Entwickler-Gestenmanual. Mensch-Technik-Interaktion im Industrie 4.0 Zeitalter, Tagungsband 8. VDI/VDE Fachtagung USEWARE. 06.10.2016 bis 07.10.2016, Dresden. pp. 65–81. Seeling, Thomas, Frank Dittrich, Ellen Fricke, Angelika C. Bullinger (2016). Gestenbasierte Google-Earth-Bedienung. Implikationen für ein natürliches Gesten-Set am Beispiel einer 3D-Topographieanwendung. In: Gesellschaft für Arbeitswissenschaft e.V. (eds. ), Arbeit in komplexen Systemen – Digital, vernetzt, human?! 62. Kongress der Gesellschaft für Arbeitswissenschaft. (S. 88–92). Dortmund: GfA-Press. Seeling, Thomas, Ulrike Lynn, Daniel Schöller, Ellen Fricke und Angelika C. Bullinger (in press). Intuitiv, komfortabel, leicht zu erinnern? Evaluation grundlegender Gesten zur Selektion, Navigation und Manipulation von Objekten in interaktiven Systemen. In: Butz, A.; Koch, M.; Schlichter, J. (eds. ), Sozial Digital – Gemeinsam auf neuen Wegen, Mensch & Computer 2016. Berlin: De Gruyter Oldenbourg. Siefkes, Martin (zusammen mit Doris Schöps) (in press). Body postures as signs: the embodiment of socialist roles in East German feature films. In: Irene Mittelberg und Alexander Gerner (eds. ), Body Diagrams. John Benjamins. Siefkes, Martin (in press). Perceptual qualities of literary style. In: Scientific Study of Literature 7, 1. Siefkes, Martin (2015). How semiotic modes work together in multimodal texts: Defining and representing intermodal relations. 10plus1 – Living Linguistics, 1, 2015: pp. 113–131. Siefkes, Martin & Emanuele Arielli (in press), The Aesthetics and Multimodality of Style: Experimental Research on the Edge of Theory. Bern: Peter Lang. Siefkes, Martin (in press). “Intermodal Contrast in Film: Looking for the Aesthetics of Intermodal Relations”, in: Frida Forsgren & Elise Seip Tønnessen (eds. ), Multimodality and Aesthetics. London: Routledge. Ellen Fricke, 20 to 22 September 2017, Third Bremen Conference on Multimodality, University of Bremen. Keynote: Language, gestures, and pictures: Multimodality between code manifestation and code integration (invited talk). Daniel Schöller, Jana Bressem, Ellen Fricke, 19 to 21 September 2017, Electronic Lexicography in the 21st Century: Lexicography from Scratch, Leiden, Niederlande. Lemmatization and Meaning Representation of Gestures in an Electronic Dictionary. Jana Bressem, 12 to 16 September 2017, 15th International Conference “Borders. Contact – Communication – Contrast” of the German Semiotics Society, Passau. Panel “Objektgebrauch als Zeichenprozess in ‚realen‘ und virtuellen Welten: Wie aus Handlungen Gesten werden” (organised by Jana Bressem, Ellen Fricke, Irene Mittelberg, Roland Posner). Wischen, werfen, halten – Handlungen als Quelle für konventionalisierte Gesten des Alltagsgebrauchs. Ellen Fricke and Daniel Schöller, 12 to 16 September 2017, 15th International Conference “Borders. Contact – Communication – Contrast” of the German Semiotics Society, Passau. Panel “Objektgebrauch als Zeichenprozess in ‘realen’ und virtuellen Welten: Wie aus Handlungen Gesten werden” (organised by Jana Bressem, Ellen Fricke, Irene Mittelberg and Roland Posner). Objektgebrauch und seine multimodale Versprachlichung: Wie Handlungsschemata, Verbsemantik und redebegleitende Gesten zusammenwirken. Johannes Müller-Viezens, 12 to 16 September 2017, 15th International Conference “Borders. Contact – Communication – Contrast” of the German Semiotics Society, Passau. Panel “Objektgebrauch als Zeichenprozess in ‘realen’ und virtuellen Welten: Wie aus Handlungen Gesten werden” (organised by Jana Bressem, Ellen Fricke, Irene Mittelberg and Roland Posner). Virtuelle Kamera und Objektgebrauch im Computerspiel. Ellen Fricke, 26 to 28 July 2017, Conference “Pictures and Texts – Pictures as Texts. Iconicity and Indexicality in Graphic Communication”, Exzellenzcluster TOPOI, Berlin (invited talk). Ellen Fricke and Jana Bressem, 16 to 21 July 2017, 15th International Pragmatics Conference, Belfast. Panel “Empractical speaking and knowledge construction” (organised by Stefan Hauser and Wolfgang Kesselheim). Gestures and technological innovation: Metaphorical concepts and empractical speaking as basis for constructing human-machine interfaces. Johannes Müller-Viezens, 09 to 11 June 2017, “International Conference on Multimodal Communication (ICMC 2017): Developing New Theories and Methods”, University of Osnabrück (organised by Alexander Bergs and Mark Turner). Performing Speech Under Copresence. Multimodality and its Conceptualizing in Face-to-Face Role-Playing Games. Thomas Seeling and Angelika C. Bullinger, 16 February 2017, 63th Conference of the Society of Ergonomics “Soziotechnische Gestaltung des digitalen Wandels – kreativ, innovativ, sinnhaft”, FHNW Brugg-Windisch and ETH Zürich. Natürliche User Interfaces mit Anwendern gestalten – Eine Handreichung für die Gestaltung intuitiver Gesten-Sets. Martin Siefkes, 06 December 2016, Institute for Applied Linguistics, University of Technology Dresden. Das virtuelle Museum. Ein multimodaler Blick auf Online-Ausstellungen (invited talk). Martin Siefkes, 15 October 2016, International Conference “Transmediations! Communication across Media Borders”, Linnæus University, Växjö, Schweden. Your Exhibition Will Soon Be Virtual. Transmediating Museums into the Digital Sphere. Thomas Seeling, Ellen Fricke, Daniel Schöller, Angelika C. Bullinger, 06 October 2016, 8th VDI/VDE-Fachtagung USEWARE, Dresden. Natürliche User Interfaces durch das Einbeziehen von Nutzern gestalten. Implikationen für ein Entwickler-Gestenmanual. Ellen Fricke, 21 July 2016, ISGS 2016 “Gesture – Creativity – Multimodality”, Université Sorbonne Nouvelle, Paris 3. Gesture, virtual globes and technological innovation: Metaphorical concepts as basis for gesturally steering Google Earth with Leap Motion. Daniel Schöller, 08 July 2016, “1st Chemnitz/Dresden Corpus Linguistics & Digital Humanities Conference” (CorpDH 2016), University of Technology Chemnitz. Korpuslinguistische Methodik und Multimodale Grammatik. Martin Siefkes, 08 July 2016, “1st Chemnitz/Dresden Corpus Linguistics & Digital Humanities Conference” (CorpDH 2016) , University of Technology Chemnitz. Die Verbindung von multimodaler Semiotik und Digital Humanities in der Analyse von Online-Ausstellungen. Ellen Fricke, Ulrike Lynn, Daniel Schöller, Thomas Seeling, Angelika C. Bullinger, 24 June 2016, Innteract Conference 2016 “3D Sensation”, University of Technology Chemnitz. Hände und Objekte: Perspektiven linguistischer Gestenforschung für die Gestaltung von Mensch-Maschine-Schnittstellen. Ellen Fricke, 31 May 2016, Linguistic colloquium, University of Würzburg. Perspektiven linguistisch-semiotischer Multimodalitätsforschung am Beispiel der Negation im Deutschen. Thomas Seeling, Ellen Fricke, Frank Dittrich und Angelika C. Bullinger, 2 to 3 March 2016, 62th Conference of the Society of Ergonomics, RWTH Aachen. Gestenbasierte Google-Earth-Bedienung. Implikationen für ein natürliches Gesten-Set am Beispiel einer 3D-Topographieanwendung. Ellen Fricke, 26 October 2015, BMBF-Statustagung “Die Sprache der Objekte”, University Club Bonn. Project presentation: Hands and Objects in Language, Culture, and Technology and discussion participant in the panel “Digitale Methoden und Neue Medien in der geistes- und sozialwissenschaftlichen Objektforschung”. Ellen Fricke, 16 October 2015, Opening event, MANUACT, Sächsisches Industriemuseum und Technische University of Chemnitz. Opening Lecture: Hands and Objects in Language, Culture, and Technology, and presentation of the MANUACT project. Martin Siefkes, 22 September 2015, International Conference “Second Bremen Conference on Multimodality” (BreMM15), University of Bremen. Multimodal Text Interpretation: Modelling the Whole Process. Ulrike Lynn, 2 to 4 September 2015, International Conference “Gesture and Speech in Interaction” (GESPIN 4), Université de Nantes. Poster: Keep in touch – A dictionary of contemporary physical contact gestures. Ellen Fricke, 2 September 2015, International Conference “Gesture and Speech in Interaction” (GESPIN 4), Université de Nantes. Keynote: Grammar, deixis, and multimodality between code-manifestation and code-integration or why Kendon's Continuum should be transformed into a gestural circle. Abstract. "Ausstellung in Chemnitz erforscht Gesten" (dpa) among others on WeltN24 and Focus online, 30 August 2017. "DEUTSCHLANDWEIT EINMALIG! NEUE AUSSTELLUNG IM INDUSTRIEMUSEUM" Many Schneider for TAG24, 31 August 2017. "Die Sprache der Hände und Objekte: der Weg zu intuitiven Mensch-Maschine-Schnittstellen. Interdisziplinäres Projekt MANUACT gab zur Auftaktveranstaltung im Sächsischen Industriemuseum Einblicke in die Forschung – Öffentliche Vortragsreihe startet am 25. November 2015." 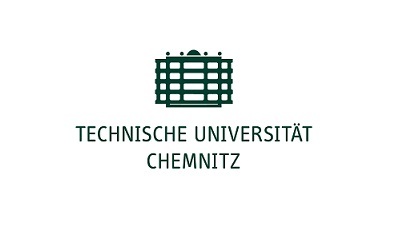 Katharina Thehos, Press office of the University of Technology Chemnitz, 26 October 2015. 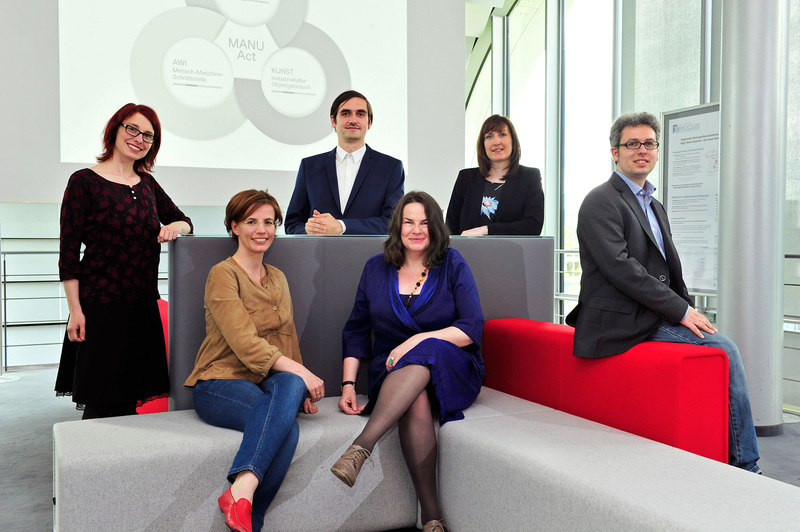 "Erfolgreicher Kick-Off des Forschungsprojektes MANUACT", Institute for Ergonomics and Innovation Management, University of Technology Chemnitz. "Die Hand aus mehreren Perspektiven betrachtet. Linguisten, Semiotiker und Arbeitswissenschaftler der TU Chemnitz erforschen gemeinsam mit dem Sächsischen Industriemuseum das Zusammenspiel von Händen und Objekten". Katharina Thehos, Press office of the University of Technology Chemnitz, 22 May 2015. The copyright of the contributions to this internet website is held by the named authors. Although all external links have been carefully selected and checked, no responsibility can be accepted for their content.